If you’ve seen the provocative headlines online that proclaim LDL cholesterol is not dangerous and even life-prolonging, they are misleading. Reputed medical sources, like NHS News and Heart Matters, explain how the review cited in those attention-grabbing articles was flawed. In reality, high cholesterol levels remain a serious health concern. Therefore, aiming to lower them and maintain at a healthy level is a wise move for everyone. This is particularly important for those who want to reduce the risk of heart disease, says Medical News Today. Your fat intake has a major influence on the levels of cholesterol in your blood. Note that excluding the fat from your diet entirely is never a good idea. Only in some very rare cases your doctor might require this kind of diet change. However, those are associated with specific diseases and the patient will most likely require medical supervision when living on this kind of diet. Bear in mind that the keto diet, which is getting more popular today due to weight loss benefits, is another risk. This is a meal plan that’s extremely high in fats and low in carbs. If you are concerned about your blood cholesterol, avoid this diet. There are safer well-balanced ways to lose weight without excluding any important food groups. 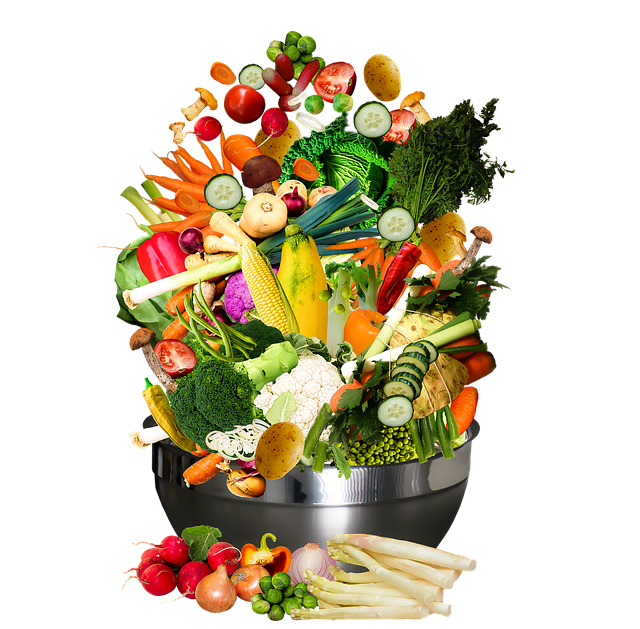 To see how a healthy weight loss diet meal plan looks like you can read this post. Remember that maintaining an intake of healthy fats is always essential for health. It’s the type of fats you consume that makes a difference between your meals being ‘good’ or ‘bad’ for your cholesterol. Best fats for health are unsaturated fats, which you get from olive oil, nuts, avocados, seeds, eggs, and dark chocolate. Fatty fish, which provides you with omega 3 fats, is also essential for a healthy diet. This particular type of fats does not only lower levels of LDL cholesterol. It helps you reduce the risk of heart disease by fighting inflammation. Trans fats are the worst type that you should exclude from your diet completely. These fats are present in processed foods and snacks. You should also be wary of saturated fats. The main sources of those are butter, fatty red meat, dairy products, and coconut oil. These can be included in your meals, but only in small amounts. The cooking method you use has a major influence on the nutritional value of the meal. This includes the amount of fats in it. When working to lower your cholesterol, you should avoid frying, deep-frying, and roasting. Even if you use olive oil, the total level of fats increases too much. The best cooking methods to use are steaming, grilling (without seasonings), poaching, and boiling. Microwaving also can be included as cooking your meals in this appliance requires very little or no fat. If you are worried that microwaves are dangerous to cook food in, Harvard Medical School and World Health Organization both state otherwise. No matter which method of cooking you choose, if it requires oil, use the smallest possible amount. Switch to extra virgin olive oil as the healthiest option. However, canola, sesame, and nut oils are also good. High-fiber foods are good for the heart by default. One of the reasons for this is that they help lower blood cholesterol levels. To achieve maximum health benefits, you should eat a mix of foods that will provide you with both soluble and insoluble fiber. Oats and barley are the two products you should start eating regularly to protect your heart. Lower cholesterol, and improve digestion. As they are very filling, they are a good choice for weight loss diets. Any type of exercise makes you healthier overall and reduces the risk of heart disease (if you aren’t overdoing it). However, if you want to lower your cholesterol levels, cardio should be your training of choice. Luckily, even moderate activity workouts will be effective for this purpose. They will also help you speed up fat burning. Be aware that cardio training can be strenuous for the body. Therefore, you should always start slow and increase the intensity of your workouts gradually. It might be best to only do this type of exercise every other day. You’ll need to take a blood test to determine the current cholesterol levels in your blood. The results should also show you how much HDL cholesterol you have vs. LDL. From there, consult your doctor to map up a plan of change. You can also use an AHA Calculator and Recommended Cholesterol Levels Chart as guidelines. 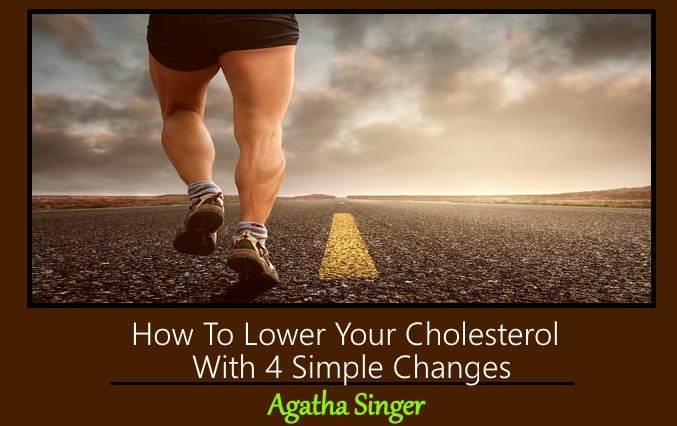 This Concludes: How To Lower Your Cholesterol With 4 Simple Changes. What Did You Think Of This Post? Please Let Us Know By Rating Below!